Hot, hot, hot! That’s what our open flame oven is. And that’s what makes Gio’s pizza taste like what you’d find in Italy. We follow the Italian tradition of great pizza making. 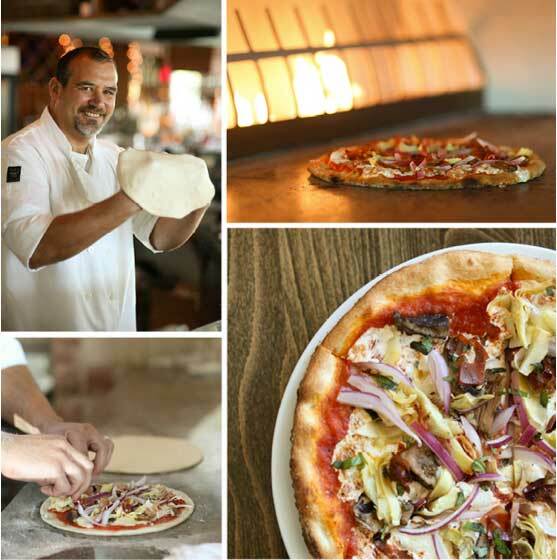 All of our pizza is hand tossed and baked in a Wood Stone “open flame” fire deck oven at 600 degrees. We make our dough from “00” flour, which is milled specifically to cook at the high temperatures of our authentic Italian style oven. 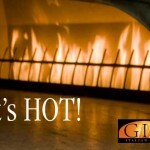 When you walk into Gio Italian Grill, you can’t help but notice the warm flames dancing behind the arch of our pizza oven. It is the centerpiece of our restaurant and testament to the authenticity of our pizza. It gives our pizza its signature Gio crust, with just the perfect amount of crunch and chewiness…and bakes it to golden perfection. Before proprietors Tony and Giovanna DiMaio opened Gio, they researched the best in Italian cuisine by visiting Italy, where Tony interned with local chefs at a historic restaurant in the heart of Palermo, Sicily. After studying beside true pizzaiolo, Tony began his search for the highest quality brick oven to duplicate the old-world style of cooking. 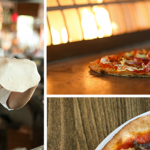 Wood Stone, an “open flame” hearth, was chosen to produce consistent, mouthwatering, authentic pizza. Wood Stone Corporation has more than 13,000 installations in over 75 countries around the world. Wood Stone built its reputation on their family of stone hearth ovens. Their ovens are chosen by pizzaiolos the world over. It is another essential piece of the equation that helps us serve a superior pizza! 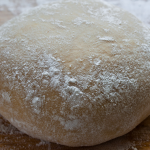 We make authentic Italian pizza dough using only the finest “00” flour, imported from Naples, Italy. 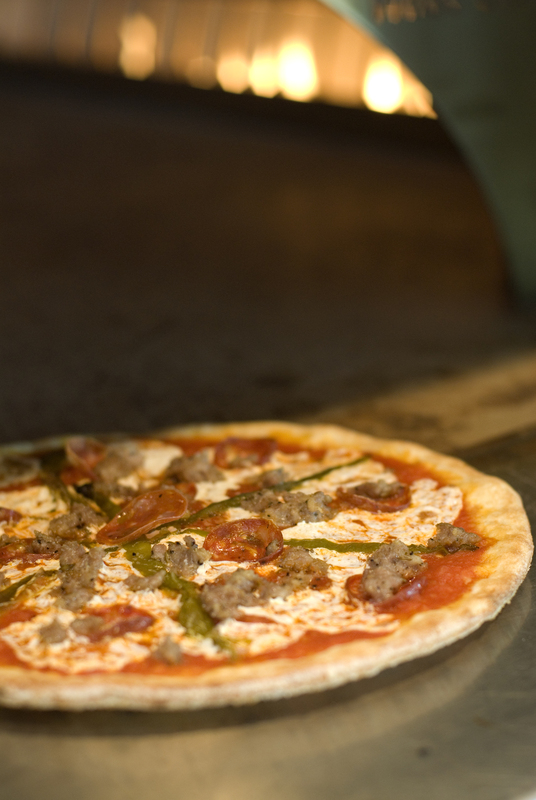 Authentic Italian pizza, hot from our “open flame” oven. We are excited to announce that Gio Italian Grill been named the winner of two (YES, TWO!) Decadent Dish awards from Lehigh Valley Style! 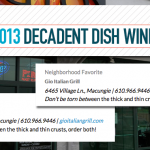 We were voted “Favorite Pizza” and Neighborhood Favorite”. The Vote’s Are In: Gio Makes Your Favorite Pizza 2012! Tony makes a Quattro Gusti pizza. Image courtesy of Lehigh Valley Style. 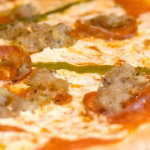 It starts with hand tossed dough made from 100-percent wheat flour imported from Italy. Then it’s topped with San Marzano tomatoes, fresh mozzarella, extra virgin olive oil, sea salt and basil. And that’s just the plain pizza at Gio Italian Grill. Owners Tony and Giovanna DiMaio know a thing or two about creating the perfect pie. Both were involved in family restaurants and born to Sicilian parents. They’re a couple who love food and sharing it with their neighbors and friends. After cooking alongside chefs in Palermo, Sicily, Tony returned home (with recipes in hand) and began his search for a high quality brick oven like the ones he encountered in the old world-style of cooking. He found an open flame hearth, while Giovanna imported authentic ingredients and wines, and the rest is history. Together, they’ve created an irresistible marriage of crispy thin crust and savory toppings you know were combined with love. 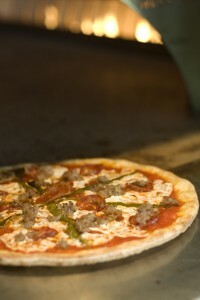 Perhaps that’s why the Salami picante, homemade sausage, hot pepper and fresh mozzarella pizza is called the Giovanna. Thank to everyone who voted for us! We are proud to make the Lehigh Valley’s favorite pizza.